There are two members of staff assigned to the programme – Josh Milnes, who is currently working full time with the primary schools and James Wynne who is equally shared between Woodkirk Academy and the primary schools. Both members of staff are fully qualified teachers and have previously taught at Woodkirk Academy prior to becoming a part of the programme. The Woodkirk Academy Primary PE Programme is a primary PE initiative set up to primarily up-skill primary school teachers within the Morley area of Leeds. The programme is currently in its 3rd year of running with two members of staff assigned to the development of the programme. We deliver a broad range of sports and activities to various year groups to assist schools in opening up opportunities for children to take part in PE and Physical Activity. In addition to the delivery of lesson and CPD to primary school staff, we also offer a varied competition calendar to enable children from the area to have a competitive outlet and somewhere to demonstrate talents learnt in lessons or away from school. 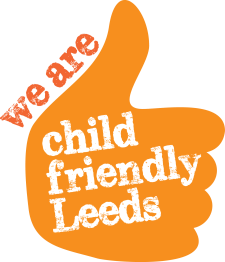 The programme has also been highlighted across the city of Leeds as a model of good practice and we have spoken to areas of Leeds where similar programmes are starting to be desired by primary schools. Initially the programme was set up in 2013 – with the first year commencing in the November. The first year started with 5 schools from a more immediate area to Woodkirk Academy who all bought into a Service Level Agreement. As the programme has developed more primary schools have felt the need to join the programme and as a result we now work with 8 schools from all over the Morley Area. The programme is currently contracted until August 2017. The programme started and has continued to develop because of the value that primary school teachers see in being up-skilled in PE, the staff value the input from specialists and gives them ideas for teaching, differentiation strategies to enable all to achieve and some to extend skills further. The programme is based in the Morley area of Leeds, the breadth of programme extends from Drighlington down to East Ardsley and hits almost all of the schools on the stretch of road between these two schools including, Birchfield, Blackgates, Gildersome, Hill Top, Morley St Francis and Westerton. The programme is funded via the primary schools, who all use their PE and Sports Premium funding. This is a good use of the money available as the programme meets the national objective to up-skill primary school teachers. The future of the programme is funding dependent.